Ulinzi suffer shock loss at the hands of Umoja – Kenyatta University TV (KUTV). All Rights Reserved. Former national champions Ulinzi Warriors suffered a shock 54-48 defeat at the hands of Umoja in a premier league clash played at Nyayo Stadium gymnasium. The winners got off to a 15-13 first quarter edge and never looked back, ripping the only unbeaten run in the league. Nick Ogoll managed 13 points for Umoja and Eric Mutoro posted 18 for the soldiers. Alex Ramazani poured in 29 points as United States International University (USIU) defeated Equity Bank 76-68 in a tight duel. Yoni Wanambiro added 16 while Brian Obimbo had the bankers’ 12. Kenya College of Accountancy (KCA) University squeezed a close 63-62 victory over Lions. Collins Odhiambo hit 14 and David Omondi 12. Harisson Kaudia registered 16 while Dennis Opiyo had 14 for Lions. Co-op Bank whipped Western Delight 51-33. Vivian Atieno scored 14 and Irene Makori 11 for Co-op Bank. The visitors had Cathy Anyi sinking 12. USIU pipped Strathmore University 60-57. Angela Okoth bagged 31 and Cilia Atieno 11 for the ‘Flames’. Susan Manya had 17 and Edna Kola 12 for “Strath”. 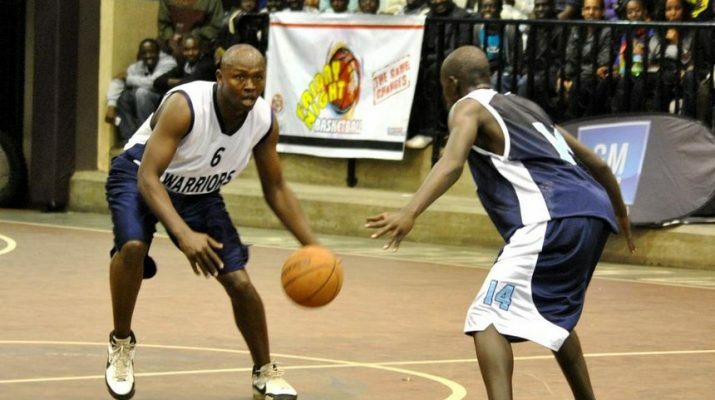 In Mombasa, champions Kenya Ports Authority clobbered Thunder 79-57. Evans Leting made 11 for the porters, who were up 36-24 at the breather while Patrick Koriana shot the losers’ 13. In the lower division matches, Emyba hit Riara University 63-57. Jkuat lost 48-44 to Africa Nazarene University while Little Prince hit MKU Thika 50-44. KBF Morans nipped NIBS 36-35.